In 2002, the RDN and the City of Nanaimo joined the Federation of Canadian Municipalities' Partners for Climate Change Protection (PCP). The PCP is a network of Canadian municipal governments that have committed to reducing greenhouse gas (GHG) emissions and to acting on climate change. Through the support of this network and funding from the Federation of Canadian Municipalities' Green Fund, the RDN and its municipal partners' developed two climate change plans for both corporate operations and community planning. The RDN adopted the RDN's Corporate Energy and Climate Change Plan Climate in 2007. The Pan identifies a range of Greenhouse gas emissions and energy reduction measures to be carried out over time. In 2013, the RDN completed the Community Energy and Emissions Plan (CEEP). 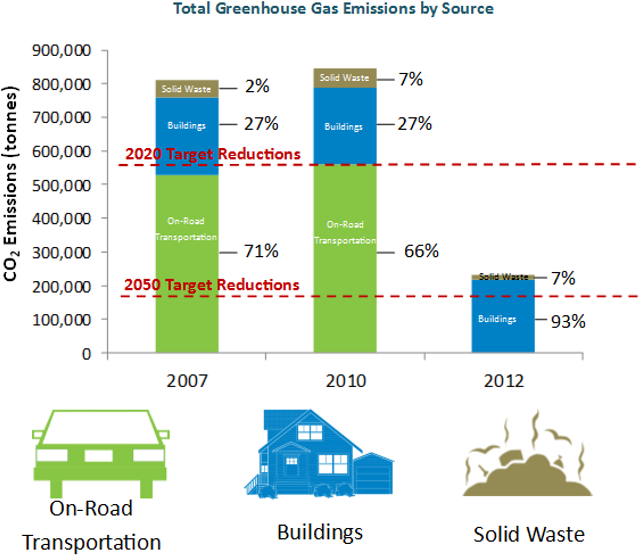 The CEEP provides an energy use and emission inventory for the RDN and member municipalities for the year 2007, a forecast for emissions to the year 2050, establishes an aspirational emission reduction target of 80% below 2007 levels by 2050; and outlines the range of reduction measures necessary to achieve that target.